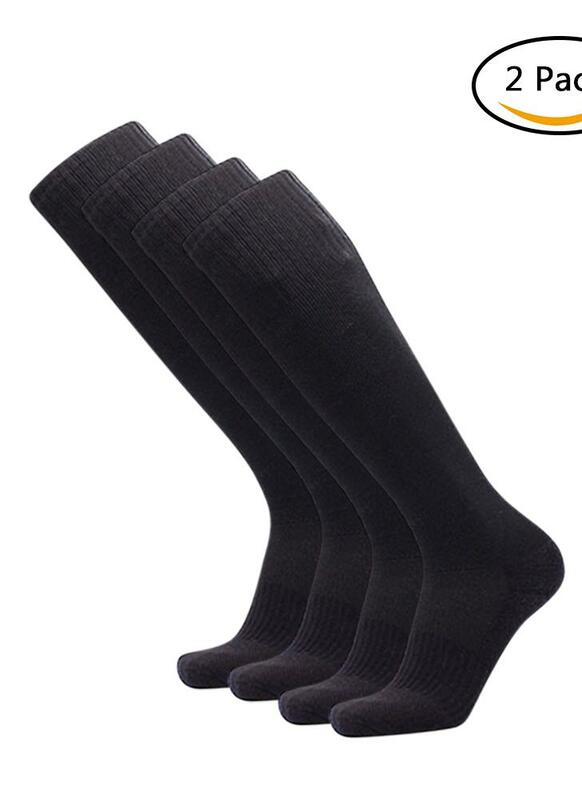 Compression socks enhance your daily performance, no more tired or fatigued legs! Specially designed for sports: soccer, hiking and so on. 40% Cotton + 57% Polyester + 6% Spandex, breathable, wear-resistant and sweat absorbent, very comfortable to wear. Suitable for men of below shoe sizes: 7.5-10.5(US) / 6.5-9.5(UK) / 40-46(EU). Perfect for many sports: soccer, hiking, tennis and much more. Combed cotton material sole provides good sweat absorbent ability, keeping your feet cool and dry. Arch and top area use Polyester material to achieve good compression effect. Breathable, wear-resistant, comfortable and durable. 1. The color of the products may be darker than their pictures due to lighting and the use of different monitors.